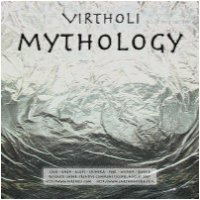 Virtholi's debut Earth Mantra album entitled Mythology explores aspects of world mythology in sonic form. Cave and Pool represent the idea of sacred places that were often sites of worship or divination. Omen invokes the belief in messages from beyond appearing in the form of animals. Aloft and Wisdom reference the inner voyages taken in meditation or altered states of consciousness. Chimera relates to the belief in animals that never actually existed. Finally, Beyond contemplates that which lies beyond mortality. Hi I make you so many compliments! your music has immediately struck me.